Jonathan Berkowitz joins the leadership teams of loanDepot and sister company mellohome in newly created role of Chief Innovation Officer. FOOTHILL RANCH, Calif., June 21, 2018 /PRNewswire/ -- Today, Anthony Hsieh, Founder and CEO of loanDepot, and Chris Heller, mellohome CEO, jointly announced that Jonathan Berkowitz has been appointed to the organizations' leadership team as Chief Innovation Officer. Berkowitz has 20 years of experience leading enterprise and consumer product strategies for companies ranging from entrepreneurial start-ups to top-line Fortune 50 enterprises. He is widely considered to be a transformative leader and an exceptionally skilled product and market strategist. Most recently, Berkowitz served as Chief Product Officer at Aurea, and ESW Capital Company. 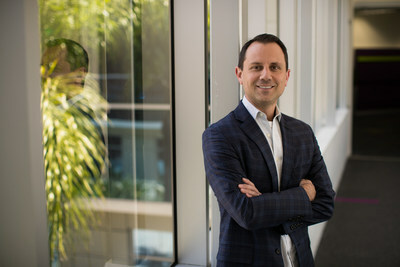 While at Aurea, Berkowitz was responsible for helping large enterprises like Disney, British Airways and Bank of America create transformative experiences for their end customers by overseeing the product and go to market strategy of one of the most powerful and complete customer experience platforms in the world. Berkowitz also has ties to the real estate industry, having overseen product and strategy at global real estate leader Keller Williams in 2017. "Our customer is every current or prospective American homeowner," said Hsieh. "And our customers are demanding – and deserve -- a technology, business and experience convergence. Much like the way that Amazon and Uber have shifted consumers' perspectives regarding e-commerce and transportation, loanDepot and mellohome are at the forefront of revolutionizing the homeownership and home services paradigm. Adding an executive product and market strategist, an innovation leader of Jonathan's caliber, furthers an on-going strategic initiative to invest in our product team, and uniquely positions loanDepot and mellohome to rapidly accelerate through this convergence, expanding and delighting customers for decades to come." "I'm thrilled to join the loanDepot and mellohome team," Berkowitz shared. "My experience working with Chris Heller at Keller Williams convinces me he has great instincts for how technology is going to transform the real estate industry. He has the genetic code to change the dynamics of our industry in a dramatic way, and that's a vision I share." "And, the opportunity to innovate alongside Anthony Hsieh is something I couldn't pass up," Berkowitz continued. "He's a CEO with tremendous executive courage. He's wired uniquely, and not afraid to ask to the tough questions, to make tough decisions on behalf of our customers, our company and our industry. He's leading a transformation that I want to help shape and be a part of." Berkowitz will report to Hsieh and Heller and oversee product strategy and innovation at both loanDepot and mellohome. He will partner with executive leaders and teams across companies, channels and verticals to cultivate and enhance market presence, differentiation and innovation across all enterprise consumer platforms and technology touchpoints, acting as a change agent and convergence champion. He will facilitate additional business growth and scale, adding further separation between the companies and the rest of the industry. Berkowitz will be based in loanDepot's Southern California headquarters and will collaborate closely with the companies' renowned technologists and executive technology team at our recently launched, state-of-the-art mello Innovation Lab. Berkowitz earned his Bachelor of Science, Information Decision Systems Degree from Carnegie Mellon University in 1998, and was also awarded his Master's Degree in Information Systems and Public Policy Management from Carnegie Mellon University in 1998.
loanDepot continues to disrupt the lending industry with its focus on technology to deliver personalized experiences to its customers. An innovator since its inception, loanDepot was the first nonbank lender to offer home, personal and home equity loans. Today, loanDepot has funded $135 billion since its founding in 2010, and currently ranks as the nation's fifth largest retail mortgage lender and second largest nonbank consumer lender. loanDepot.com, LLC, the nation's second largest nonbank lender, partners with mellohome, which matches top-tier real estate agents with ready-to-transact customers to create a seamless home-buying experience. mellohome delights customers and real estate agents by brilliantly pairing proprietary technology that creates transactional efficiencies with white-glove concierge service that ensures real-time communication at every stage of the sale. A licensed Texas real estate brokerage, mellohome is led by renowned real estate industry veteran Chris Heller.